The Lourdes Church by the Order of Friars of the Capuchins was the last major church ever to be constructed inside the walls of Intramuros. The Capuchins are among the chief offshoots of the Franciscans and they were the last major religious Order to arrive in the Philippines. They introduced devotion to the Our Lady of Lourdes. 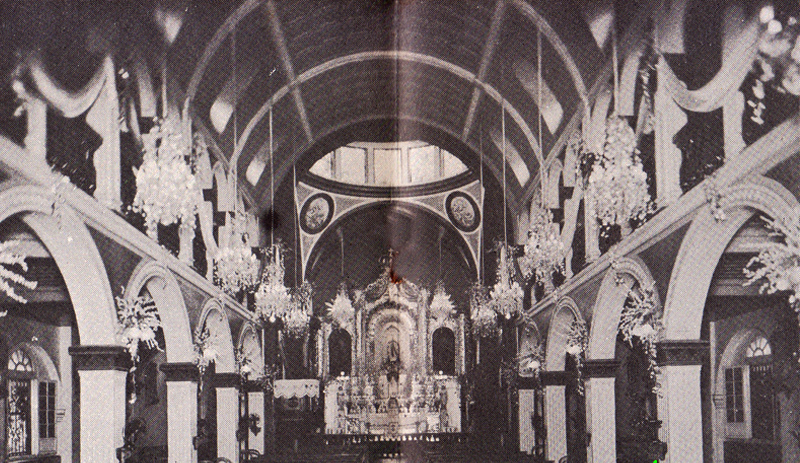 Located along Calle de Palacio (later renamed, Calle General Luna), a chapel was first constructed in 1892 but the growing number of devotees felt the need to expand the church. Headed by Arch. 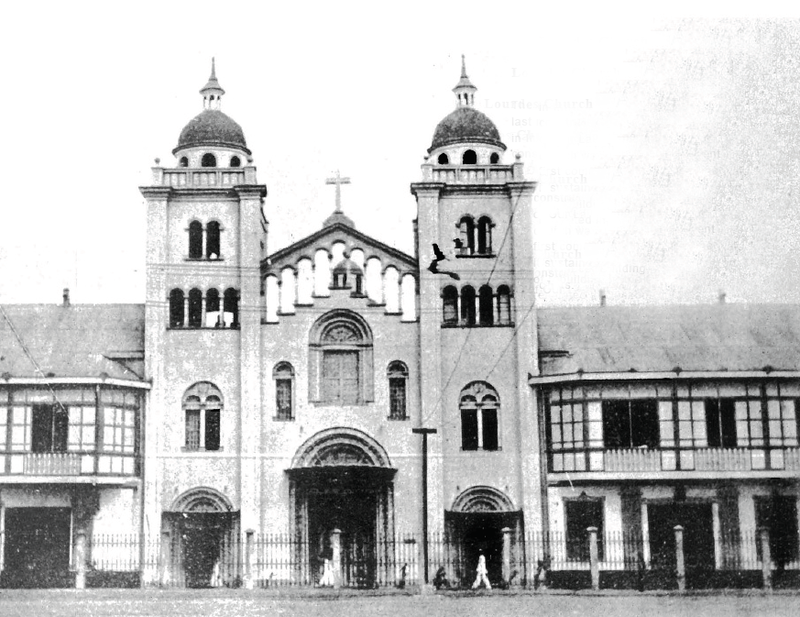 Federico Soler, the new church was completed in 1897. The church was modern in orientation, a simplified version of Romanesque. The church was also very popular for weddings. Sadly, the Lourdes Church was severely damaged after the Liberation of Manila during World War II. 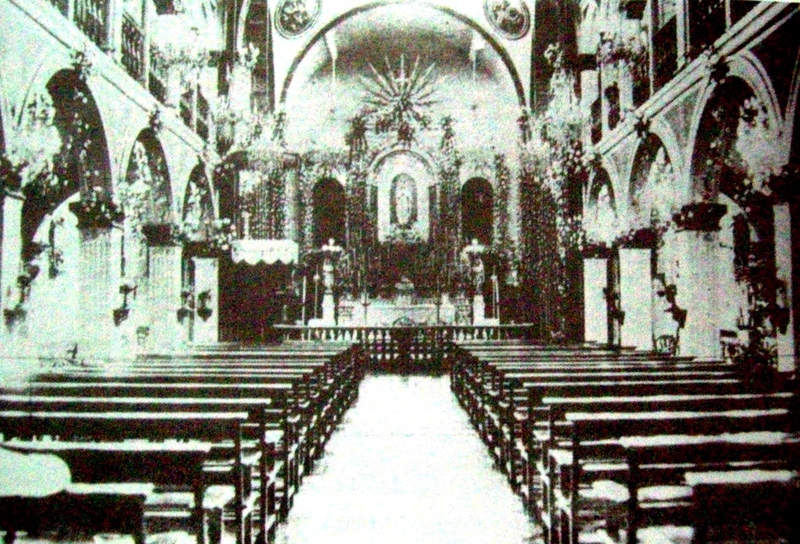 The church was not restored and in 1951, the Capuchin friars moved to its new home in Quezon City. Today, the El Amanecer compound stands on the church's former site. It was a very beautiful church. The new one in Quezon City isn't the same -- not that it's ugly or anything, just different, though I can see that they were trying to imitate it. Yeah, the Intramuros was almost completely razed by the Battle of Manila. It's a chapter often omitted from American history books on the war, but it was, in many ways, worse than the two atomic bombings in Japan. Very sad. Anyway, it is unfortunate that Intramuros was bombed. The day the churches of Intramuros were bombed is the same day that the Filipino lost their Hispanic soul and was replaced by something else. Yes, indeed, the difference between the old and the new Lourdes Church is vast, but the difference between the old Santo Domingo Church in Intramuros and the newer one in Quezon City is much more. The older one was built in the Gothic style while the newer one is a drab modern building. Not exactly ugly, but drab nonetheless. A loss indeed. I think everyone was expecting that the churches would be rebuilt. 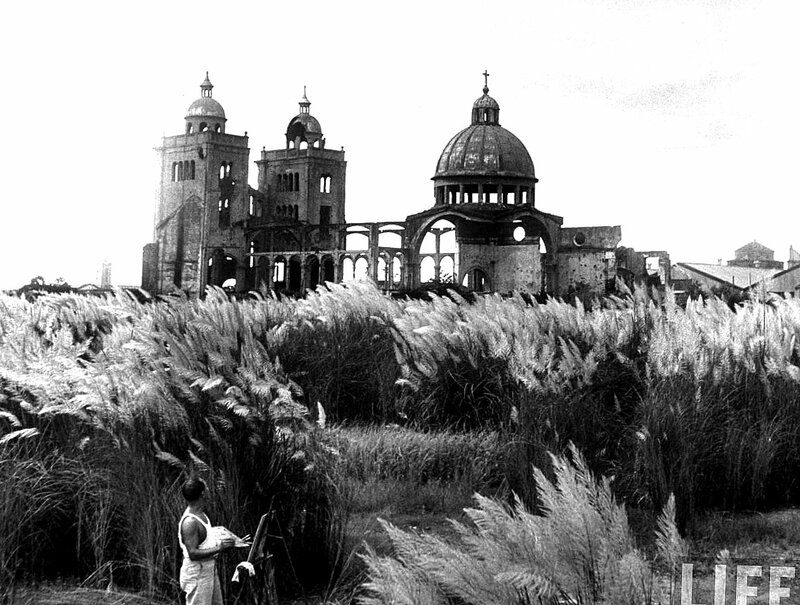 Even Pope Pius XII in his exhortation to the Manileños during the centennial of the Battle of La Naval (1646-1946), he prayed that someday the churches would be restored, and lamented that they were destroyed, especially Santo Domingo. I'll provide a separate post for that beautiful gem. As an aside, I am hoping that I will be able to reconstruct in SketchUp at least the essential details of that church. God willing.